Forget all the dream matchups…men’s hockey in South Korea will look and feel vastly different compared to years past. The NHL has, as we all know, elected to take a pass on the 2018 Olympics – the last time such an event occurred? 1994. Instead, the 2018 Winter Games will feature many former NHL players, most of whom have continued playing overseas (as to suggest rust won’t be a factor). If there’s a Canadian golden goal to be scored in South Korea, it will have to come from the likes of Mason Raymond or Chris Kelly. In need of a big save? Peters, Poulin, or Scrivens. Take your pick. We can undoubtedly be happy for these forgotten men. After all, they have been given the opportunity of a lifetime. A chance to represent their country on the grandest of stages. A heart-warming story considering few (if any) could’ve ever expected to receive such an honour, especially not at this stage of their careers. But every story has two sides, and as all these replacement players – essentially what they are – prepare to live out their Olympic dreams’, other current NHL players have been forced to accept the permanent closing of their Olympic windows’ as a result of the circumstances. Fleury was Canada’s third goalie in Vancouver at the 2010 Olympics. Prior to that, he backstopped Canada to consecutive silver medals at the World Juniors – who can forget his infamous gaffe in 2004? No Canadian hockey player wants a silver medal. It’s nothing more than tangible proof of a failed quest for gold. To date, he’s never been given a real shot at redemption on the international stage. This year was that shot. 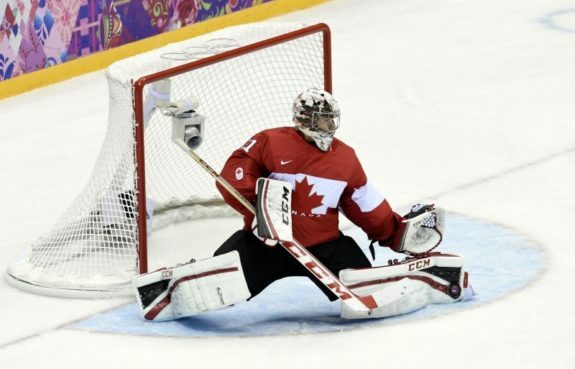 Four years ago in Sochi, Carey Price and Team Canada were perfect. Price himself was practically unbeatable, finishing the tournament with a 0.57 GAA and .972 SV%. In just over 300 minutes of play, he gave up three goals on 106 shots. His team so good, he didn’t even get the nod as a tournament all-star. Reason being…he didn’t get enough shots. Since his Olympic showcase four years ago, Price has continued to backstop the Canadiens to relevancy. Outside of his dominance in net, le Club de hockey Canadien has been largely unspectacular. His 2014-15 campaign was amongst the best ever put together by a goalie and saw him take home a career’s worth of individual awards for his efforts. The following season, a knee injury would limit Price to 12 games. He would return for the 2016-17 campaign, leading the Canadiens to another playoff appearance. Following a familiar script, however, the Canadiens would struggle to score, losing to the New York Rangers in six games. Price would finish the series with a 1.86 GAA. Different story in 2017-18…Price managed only three wins in his first 10 starts. Playing behind an underwhelming defensive core, Price himself underwhelmed, giving up 34 goals over those first 10 contests. The next start, his 11th; a loss to Minnesota that saw Price beat five times on 26 shots. His record falling to a dismal 3-7-1. He would miss the next 10 games with a lower-body injury. Upon his return, Montreal would win their next five, but the good times wouldn’t last for long. For years, he has been the measuring stick for goaltending on Earth. Holding the title of ‘Best Goalie on the Planet’ is in many ways similar to having the obligation to defend a heavyweight title each and every night. Hockey is a what have you done for me lately business. More so today than it has ever been. It’s why Carey Price is mere months removed from signing a record-breaking contract for a goalie, only a year removed from missing the better part of a season with a serious knee injury. Team Canada is flush with talent in best-on-best scenarios. They would likely still contend with a shaky Carey Price. …though I’d argue the contrary. 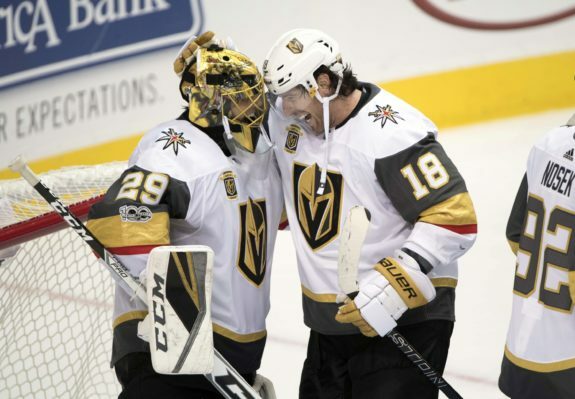 Thanks to the emergence of Matt Murray, the Vegas Golden Knights received their main building block in the form of Marc-Andre Fleury. A three-time Cup winner, Fleury, despite the haters, has been an upper-tier quasi-elite goaltender for the better part of his career. I’ll spare you all the details around the Knights’ unprecedented start. Seemingly breaking league expansion records on the daily, hockey in Vegas has gotten off to the perfect start. And despite his season being interrupted by a concussion, Marc-Andre Fleury has been as golden as they come. Marc-Andre Fleury, not Carey Price, has looked like the crème de la crème in goal – sorry Lightning fans, Vasilevskiy has been phenomenal, don’t get me wrong. Since returning from a two-month absence, ‘The Flower’ has played his way atop the goaltending precipice. A small sample size being the only applicable caveat, nothing else can be used against him in a debate that unfortunately will never see winners and losers crowned…after all, YOU play to WIN the game. Fleury, in 967 minutes, has produced one ‘Really Bad Start’ (a metric highlighting games where goalies finish with a SV% below 85). On the other side of things, Price, playing roughly double the minutes of Fleury, has six. *Checking math* – yup doesn’t add up. 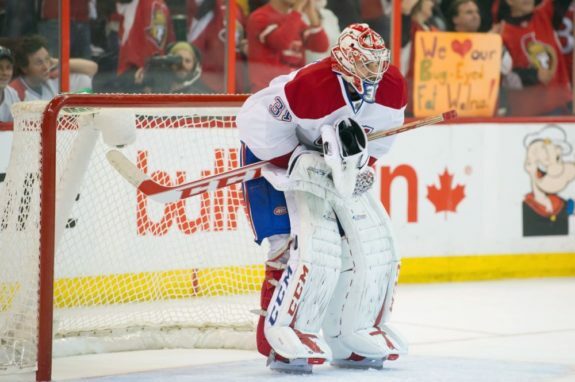 Against Western Conference opponents this season, Price has a .876 SV% to go along with a GAA exceeding 4.00 (4.06). Fleury, playing for a Western Conference team for the first time in his career, has played home conference teams extremely tough – .954 SV% and a 1.49 GAA. He’s even outperformed Price against Eastern Conference opposition. Examining the rest of this season’s numbers will tell the same story. Fleury has been overwhelmingly superior to Price across the board. It’s the undeniable truth, though provided the opportunity, the powers that be would almost surely have turned a blind eye to it all. Despite current and relevant data indicating the availability of a more deserving option, a shaky (and tired) Carey Price would get the nod in South Korea. It would be an opportunity earned by reputation rather than recent results and performance. All the while, Marc-Andre Fleury has flourished in the unlikeliest of scenarios and for the moment, holds the distinct title of Best Goalie on the Planet. …Fleury is doing this behind an expansion team.